Please come support the Riverside writing community as we resist attacks on principles of freedom and justice in our community. 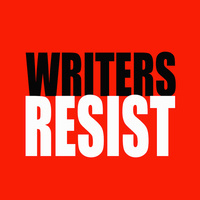 Hear UCR undergraduates, graduate students, faculty writers, alumni, and community members read works of resistance as part of the Writers Resist movement across the nation. This is a major literary protest and show of strength that began just before the January 2017 Presidential inauguration to signal that all eyes, ears and pens are trained on Washington. Jemuel Jr B. Garcia, Performance/Poetry, Critical Dance Studies, Ph.D.
Utitofon Inyang, Poetry, Comparative Literature, Ph.D.
P. Dante Cuauhtemoc Peranda, Drama, Critical Dance Studies, Ph.D.